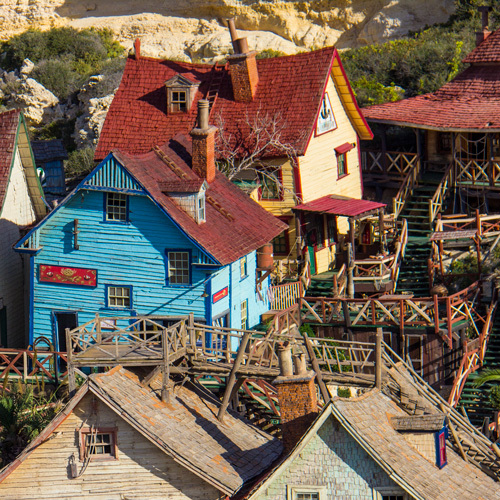 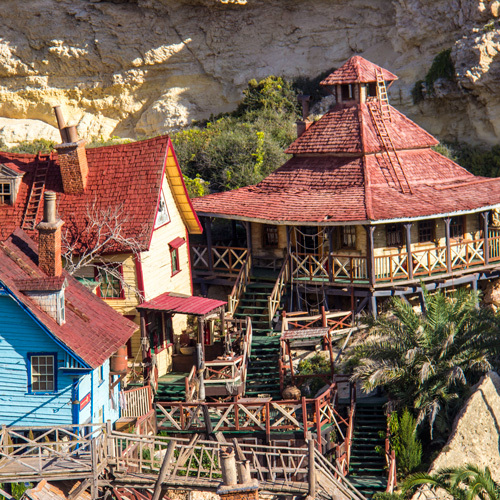 Stunning and contrasting colors of the waters and the painted wooden huts of Popeye Village in Mellieha. 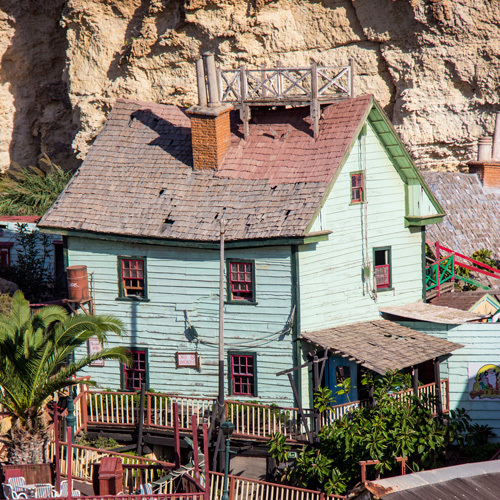 It was built as a film set for the production of the 1980 live-action musical feature film Popeye, produced by Paramount Pictures and Walt Disney Productions and starring Robin Williams. 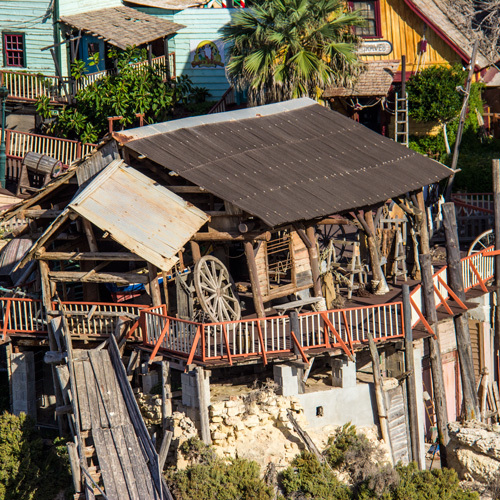 Today it is open to the public as an open-air museum and family entertainment complex.